In olden days we get Nattukozhi as a common breed at every house in villages, This Nattu kozhi Rasam had been prepared especially on Sundays, Indian spice pepper added along with chicken cures a cough, fever, body pain and relax mood from tiredness, after long day work and also whose activities produce gas, irritation, and/or diarrhoea or constipation. 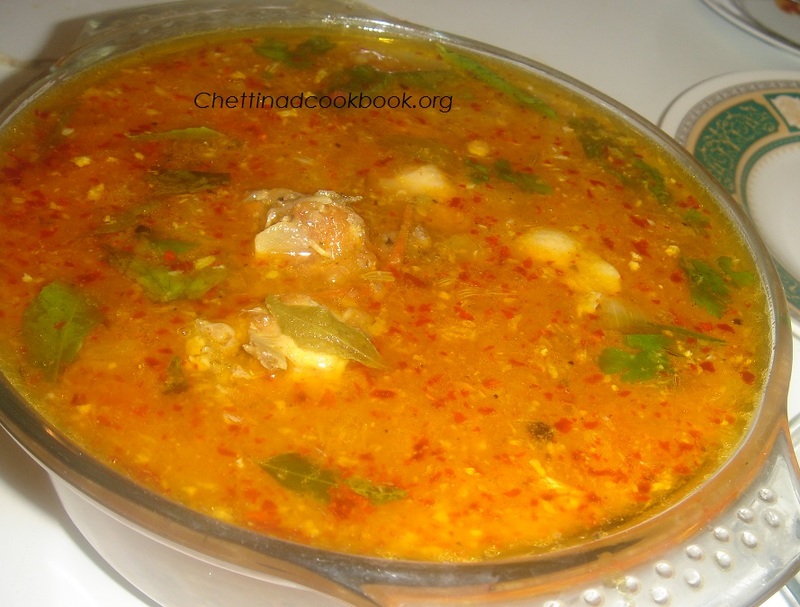 Chettinad special Chicken Rasam for Non-vegetarian Lovers. Rasam is good for cold and Sneezing and body pain this can use to drink or have with hot plain rice. Easiest non-vegetarian recipe to prepare in Large quantities. Grind in the mix for few seconds, not a fine powder, as crushed. This should be added Finally. Take a pressure cooker, add chicken pieces, chopped tomato ,onion, turmeric powder, Chilli powder, salt, cumin seeds, fennel seeds, curry leaves, Methi seeds, oil and curry leaves. Add 4 cups of water, altogether cook for 2 whistles . Note: If you prefer you can marinate chicken with turmeric powder and salt for half an hour before pressure cook. When the pressure is released bring it to boil again and add the crushed rasam powder, switch off the stove. Serve with Plain Rice or coconut Rice .